Enjoying the stunning mountains panorama, drawing soft curves into the snow, following in the Olympian contender’s footsteps, being in touch with the Alpine Ski World Championship – there is something for everyone in the ski area Garmisch-Classic. Three skiing mountains are available; the Hausberg, the Kreuzeck and the Alpspitze. Numerous pistes for all levels of difficulty in an altitude of 700 to 2050 m attract skiers. The Hausberg is especially suitable for kids. 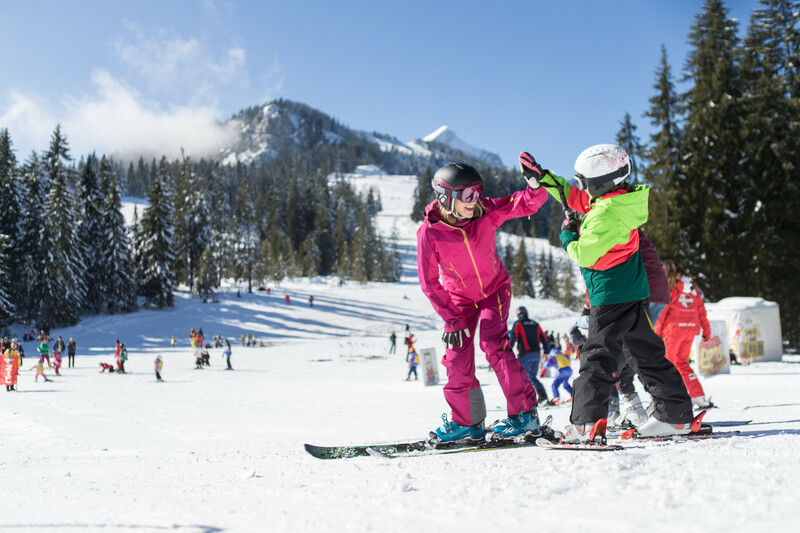 Beginner-friendly pistes and the Kinderland with it’s numerous attractions make for a change and get the children in touch with the glistening white in a playful manner. The training area on an altitude of 1310 m is especially popular with families. There is need to rush on the mostly easy and intermediate pistes.